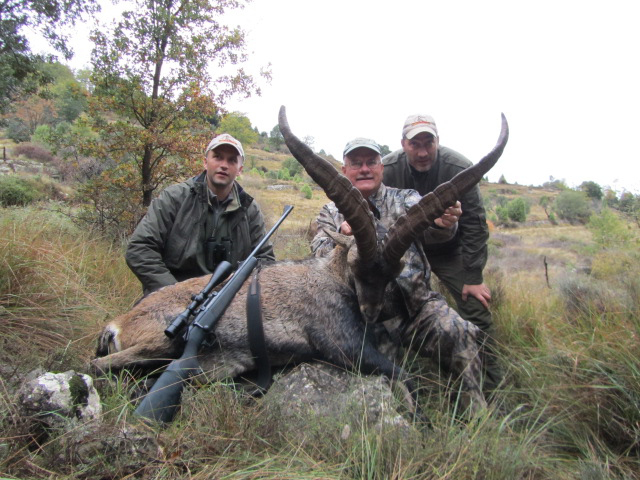 We represent Jagdkontor Safaris for all their European offerings covering 11 countries. Jagdkontor ("hunting company" in German) has been around for decades and they are known for "charging Americans what the European hunters pay." In other words, book with us through Jagdkontor and go on a great hunt for A LOT LESS MONEY. This is especially true for Spain. Just go to www.shunnesonwilson.com and click on "Europe," then "Spain," then "Prices." 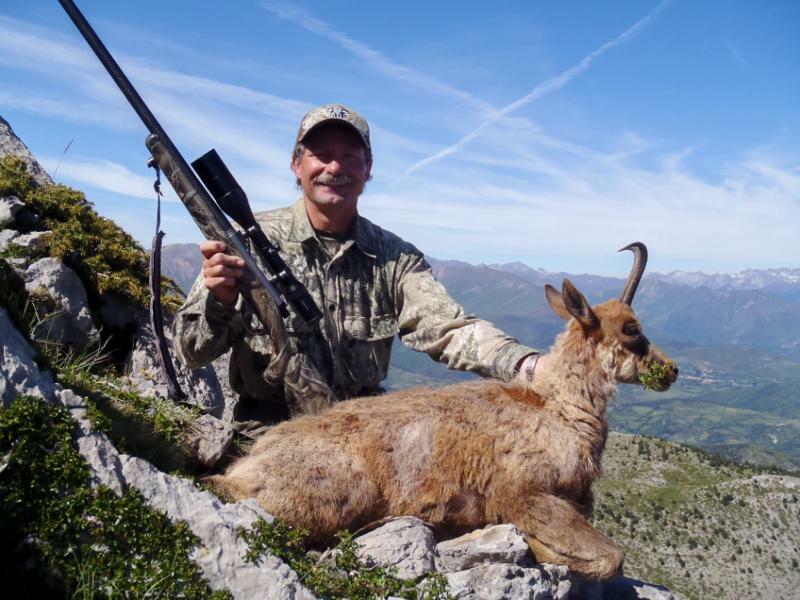 Our client, Don Shrawder, from Pennsylvania, hunted with our Beceite outfitter, Salvador Monforte Carceller, 2-½ months ago. 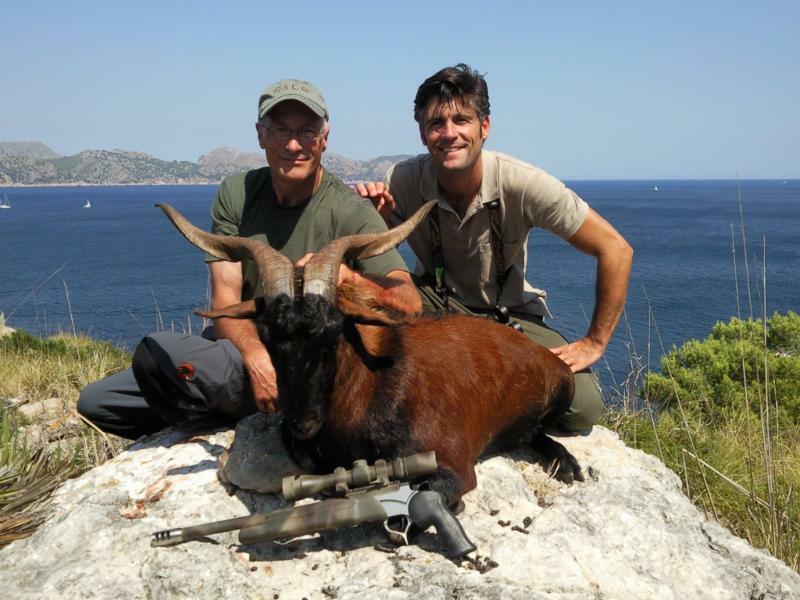 Don took his wife and shot a great Beceite Ibex. His total cost including daily rate, trophy fee, observer fee for his wife, and the insidious 18% VAT was less than $7,000! The season is October 1 to May 15. We still have limited openings for this spring. 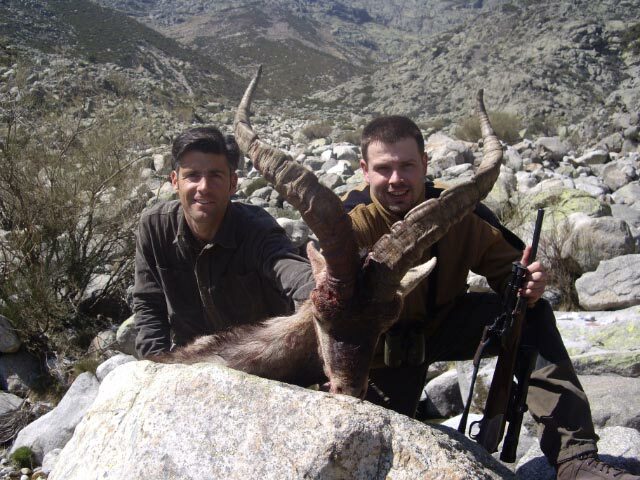 Our outfitter for these 3 Ibex is Angel Merino Delgado and, most of the time, he is the guide also. Everyone loves Angel; mostly because his clients take great trophies for a set price ... shoot the biggest one you can ... for less than $7,000 for Ronda and Sierra Nevada and less than $10,000 for Gredos including daily rate, trophy fee, and 18% VAT! The season is year around for Gredos and October 1 - June 30 for Ronda and Sierra Nevada. 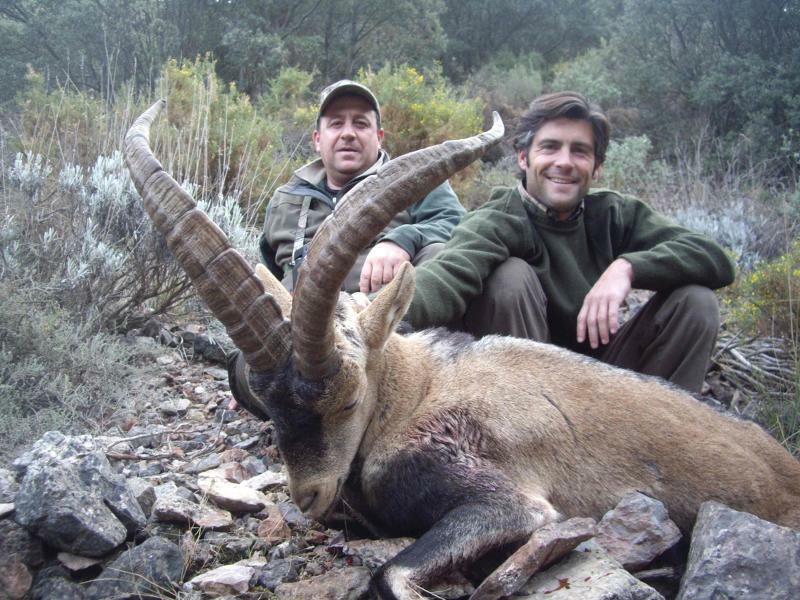 Why not hunt Ibex and then Run with the Bulls in Pamplona? Angel also guides for both Pyrenean and Cantabrian Chamois. The season is October-November and May-June. 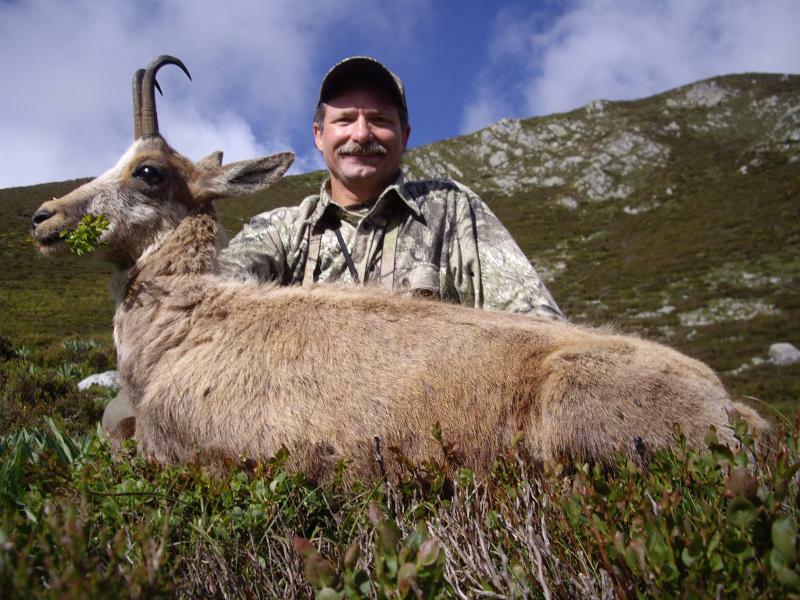 Pictured above, Angel guided well-known West Virginia hunter Gary Young to both Chamois last June. When you receive this newsletter, Ken and Lad will be in Las Vegas for the February 1-4 SCI Convention. Visit them at booths 3821-23-25 on the second floor just as you exit the escalator. They will be aided by a couple sons, Buck Shunneson and Ryan Wilson. Then it's on to the February 8-11 Grand Slam Club/Ovis Convention at the Grand Sierra Resort in Reno where Ken and Lad will discuss primarily mountain hunting at their booth #315. Between conventions Ken and Lad and their sons will watch the Super Bowl on February 5. Then Ken will go skiing at Homewood where his son works and skis each winter. Book a hunt and get (stay) in shape. Nothing is better for you mentally and physically.